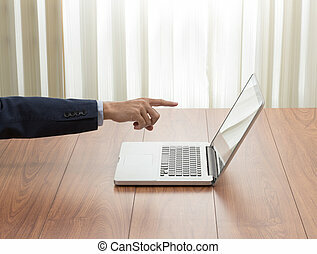 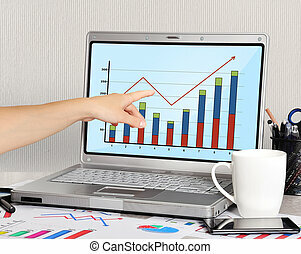 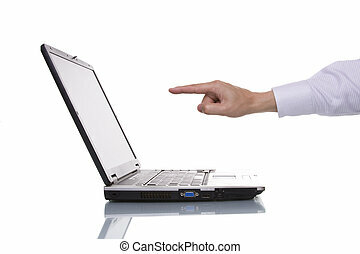 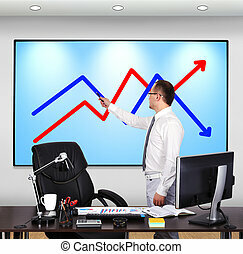 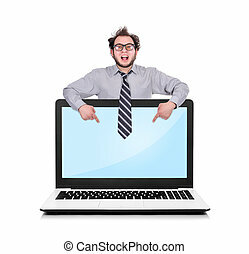 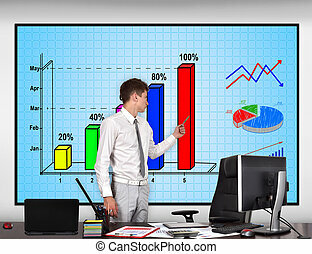 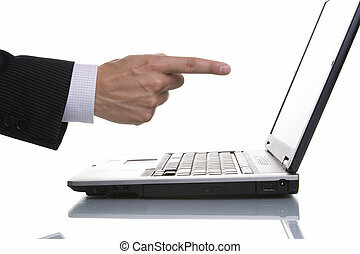 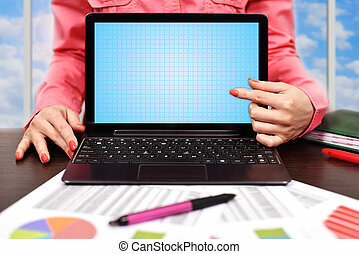 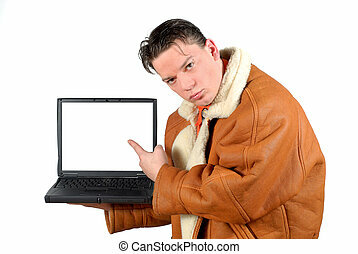 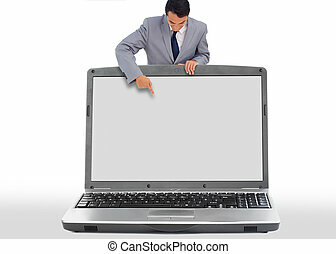 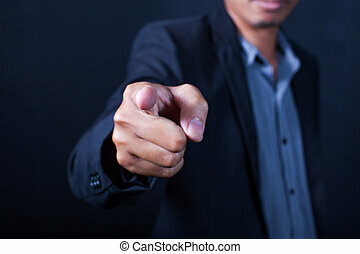 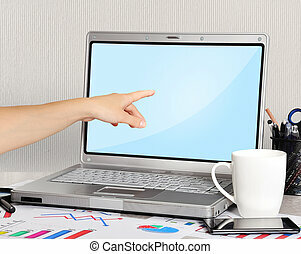 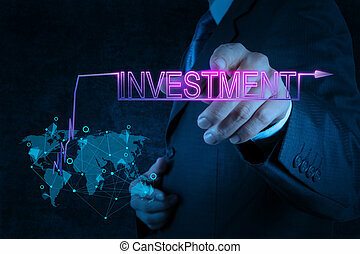 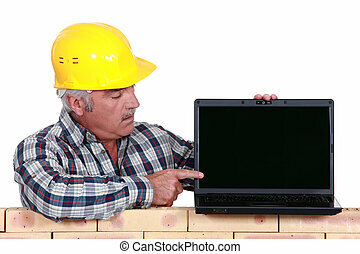 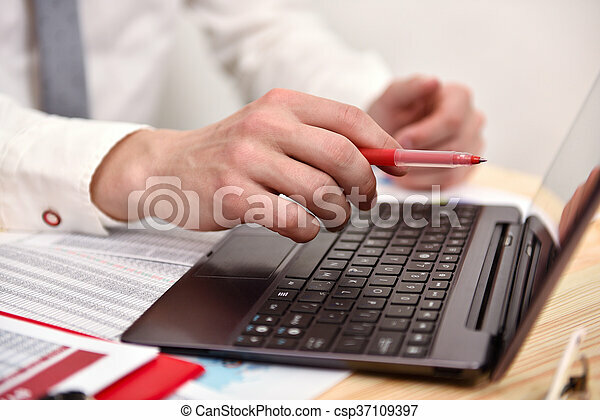 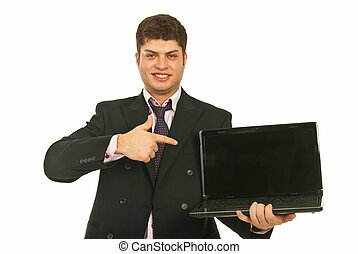 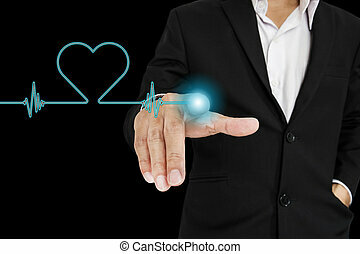 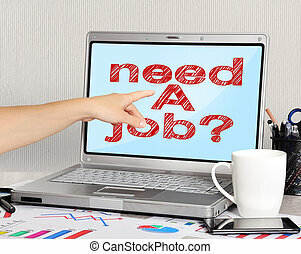 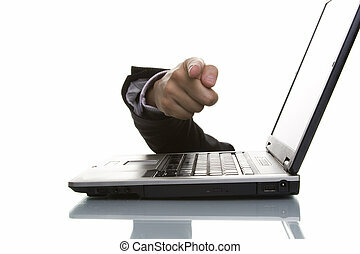 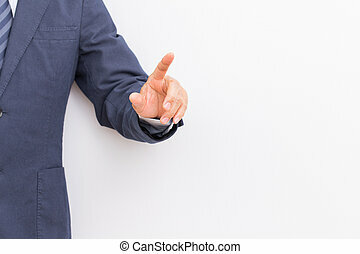 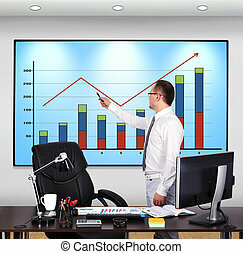 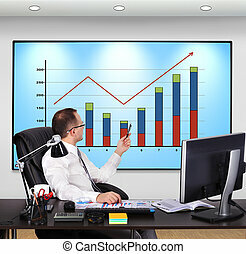 Businessman hand pointing to screen laptop. 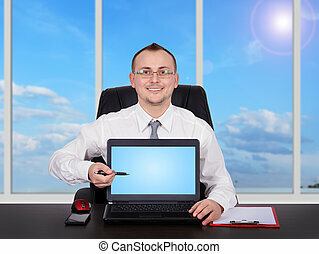 bussines concept. 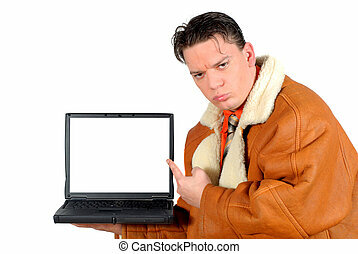 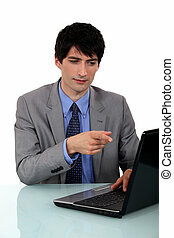 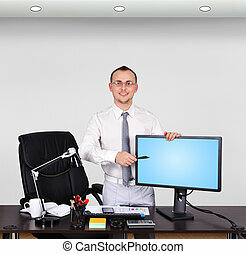 Workaholic, Young businessman pointing to blank laptop screen. 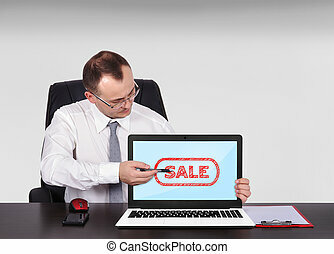 Business, advertizing, corporate concept.